Some college students struggle with assignment deadlines because of bad time management. Always exhausted and stressed about the limited time alloted for each task, they desperately seek a solution to suitably manage their time and stay on top of their assignments. Is this a familiar feeling for you as well? Are you frequently stressed about tasks that feel unnecessary, yet they still make you worry? Are you having sleepless nights finishing papers? These things themselves lead to being overworked and stressed. 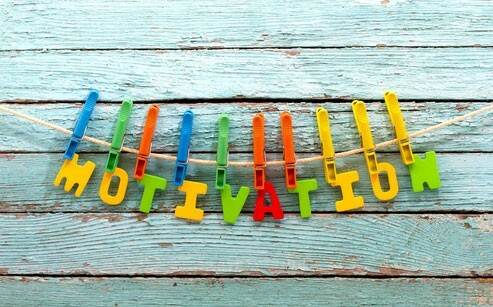 There are several ways to motivate yourself ; you just have to find out what works best for you. It often happens to students that they tend to procrastinate as they think that they still have plenty of time to prepare themselves for certain exams or to finish up assignments that are scheduled two weeks ahead. According to Becton Loveless, students should plan when they are going to study and never procrastinate the planned study session. Although it still happens that most of the students sit down one or two days before the actual deadline, making the tasks even more difficult. Take care of yourself: Put yourself first in your schedule, and get enough sleep; don’t stay up late, that makes it difficult to wake up in the morning. It is always horrible to wake up to your alarm, get ready and go to school tired. Go to bed early and wake up relaxed. Prepare yourself for school without an added rush. You will already feel a difference starting your day in a positive way. Spend time on whatever you like; make slots for whatever you want to do during the week. Set study goals: If you need to learn you have to make time to study. It does not work in any other way; however, scheduling the tasks can make it easier, and after getting free from the assignments before the deadlines will make you proud of yourself. Always start with the most important. Be organized: Do not leave things to last minute! It is always useful to have a notebook and take down deadlines so you will not forget anything. Do not throw away important papers and later waste your time finding them. Being organized is a key for success. Make a routine: Routines are always boring, but it is impossible to keep the pace without them. Choose out the specific days on the week when you can sit down to study and separately choose the ones that you would like to spend with your friends and family. Let yourself and others know when do you find it important to study and let your loved ones motivate you. Don’t waste your precious time: Procrastinating with social media will not finish your homework instead of you. According to the Purdue University Global, it does not matter what is the subject of the time wasting, students should set goals to not engage in that behavior during dedicated study time. Work on your assignments between your classes if you have longer breaks and enjoy your bonus time at home.